The Yanks return much of their core that won 100 games last year, but starting pitching could still hold them back in October. What have the New York Yankees done lately? An optimist might point out they just won 100 games last season, a year in which the Bronx Bombers lived up to their nickname and broke the record for team home runs in a single campaign. Those accomplishments might appease the fans of most franchises' bases; surely there are more than a few out there thrilled with the direction of the Yanks, as well. But these are the Yankees. This is the franchise of legends: Ruth and Gehrig, DiMaggio and Mantle, Jeter and Rivera. This is the organization with more championships (27) than any franchise in major North American sports. This team shoulders greater expectations than any other, fair or not. So it must be pointed out that, as their 2019 season is set to open against the Baltimore Orioles on Thursday at Yankee Stadium, nearly 10 years have passed since the Yanks hoisted a World Series trophy. Over the past 18 years, the 2009 crown is their lone title. That ties them with seven other teams in that time, and well behind the rival Boston Red Sox's modern dynasty. Boston just claimed its fourth championship of the 21st century, and the BoSox figure to be the biggest obstacle in the Yanks' path to No. 28. To return to the apex of baseball, they'll need to answer these questions between now and the end of October. The Bombers' 267 home runs as a team surpassed the 21-year-old record 264 smashed by the Seattle Mariners. Giancarlo Stanton, in his first year after a trade pried him from the Miami Marlins, topped the dozen Yankees that swatted double-digit dingers with 38. But that was the regular season. After topping the Oakland Athletics in the American League Wild Card Game, the Red Sox unceremoniously sent the Yanks home by winning the AL Division Series, three games to one. Only two Yankees — Aaron Judge and Gary Sanchez — launched homers against Boston, each hitting a pair. Those four homers matched Boston's total, but the pinstripes were outscored, 27-14, over four games. The Yanks' record home run total accounts for 31.4 percent of their runs scored in 2018, the highest percentage in the league. Boston's 23.7 percent ranked 22nd, while the Houston Astros were 16th at 25.7 percent; both won more games than the Yanks, and both advanced further in the playoffs. Other than shortstop Didi Gregorius' absence as he recovers from Tommy John surgery in October — power-hitting veteran Troy Tulowitzki will fill in — this lineup will largely be the same as it was when it bowed to Boston. Second-year manager Aaron Boone better hope that's enough, or he and his players must find alternate ways to generate offense. 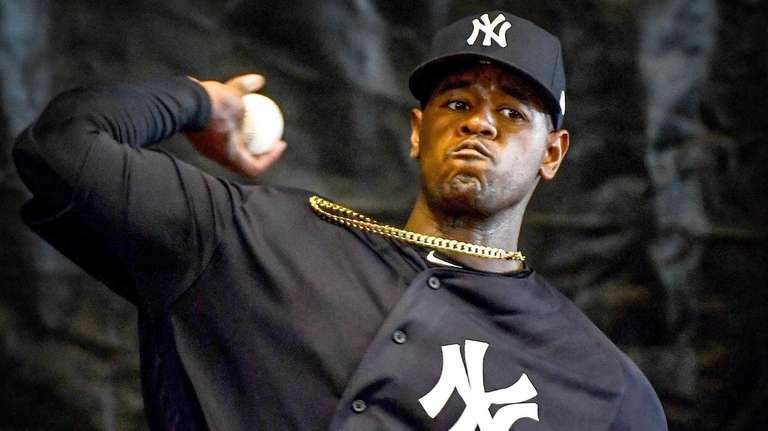 Already without ace Luis Severino until at least May and still-able CC Sabathia (in his final season) for a short while to start the season, the Yankees cannot afford to lose more starting pitchers to injury. Opening Day starter Masahiro Tanaka, not long ago considered the head of this staff, was solid in 2018 and was the lone starter to look pretty good against Boston in October. After him are James Paxton and J.A. Happ, lefties like Sabathia who came to the Bronx via offseason and midseason trades, respectively. Paxton actually has pitched better than his career 3.42 ERA would indicate, based on his 3.13 Fielding Independent Pitching (FIP). Happ, meanwhile, posted a misleading 2.69 ERA in 11 starts for the Yankees down the stretch to go along with an unimpressive 4.21 FIP. Maybe that helps explain his dud in Game 1 of the ALDS. The injuries to Severino and Sabathia, who weren't standout postseason performers last fall either, precipitated last week's addition of Gio Gonzalez on a minor league deal. The lefthander, who is a far cry from his last All-Star season in 2012, could be an option to supplant the old Happ — he's three years younger at 33 — if he falters similarly to former Yankees starter Sonny Gray last year. As much as the Yankees should be concerned about the health and performance of their starting pitching, relative to more stocked staffs in Boston and Houston, the Bronx bullpen remains as deep as ever. Even if flamethrowing lefty Aroldis Chapman, a 2018 All-Star, loses his closer role, as he briefly did in 2017, former Orioles standout Zack Britton is more than qualified to take over. Dellin Betances remains one of baseball's best setup men, and Chad Green and winter acquisition Adam Ottavino are upper-echelon relievers. If the starters can hand off a lead, this group should see it through to a victory more often than not. Are the kids still all right? Key to the Yankees' surprising run to Game 7 of the 2017 AL Championship Series and subsequent nine-win improvement a year later was the play of its budding young stars. Miguel Andujar and Gleyber Torres, two of the top three in the AL Rookie of the Year voting last year, figure to be critical components of this team for years to come. Manning third base and second base, respectively, they'll also be expected to improve upon their stellar first big-league campaigns. Andujar, in particular, must be better much defensively at the hot corner. Andujar, 24, and Torres, 22, still qualify as Baby Bombers, but that moniker barely applies to the rest of the current core. Right fielder Judge, the team leader, turns 27 before the end of April. First basemen Greg Bird and Luke Voit are 26 and 28, respectively. Stanton, the 2017 NL MVP who splits time between the outfield and designated hitter, centerfielder Aaron Hicks (out with a sore lower back) and the injured Gregorius are 29. Sanchez, the catcher, is young enough at 26, but injuries derailed him last year as he posted a miserable .186/.291/.406 slash line. 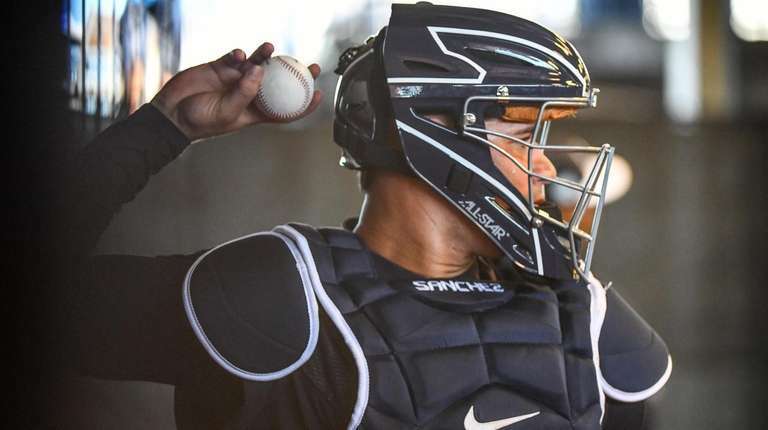 He must bounce back this year to avoid garnering some deserved boos in the Bronx as well as long-term concerns from the front office about the position. Clearly, anyone in their 20s is at or near his athletic prime. These aren't the aged Yankees of the early part of the decade, long past their peak. But they aren't getting any younger, either, and the Yankees must capitalize on their talents while they can.